From Delia Smith’s new book entitled ‘How to cheat at cooking’. Here’s the recipe. This was actually very good! 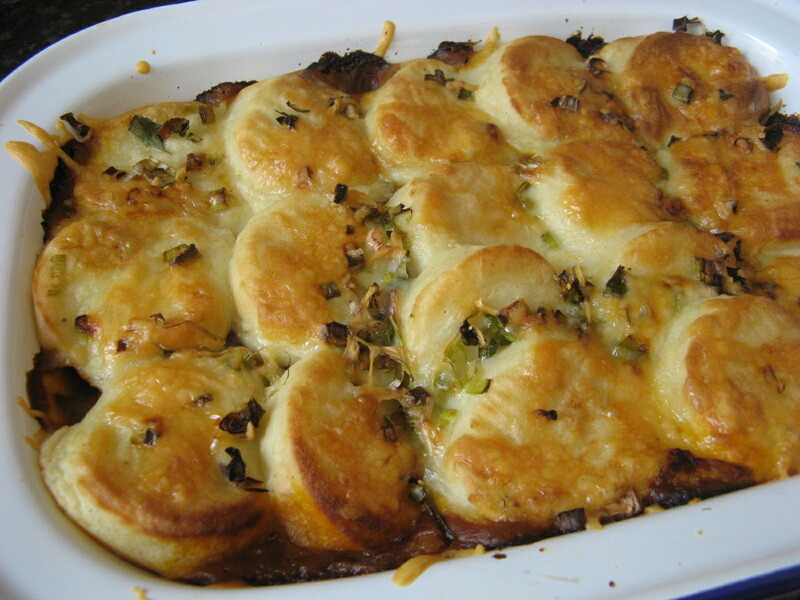 I used the frozen potato discs stated in the book, but not the tinned mince. 2. 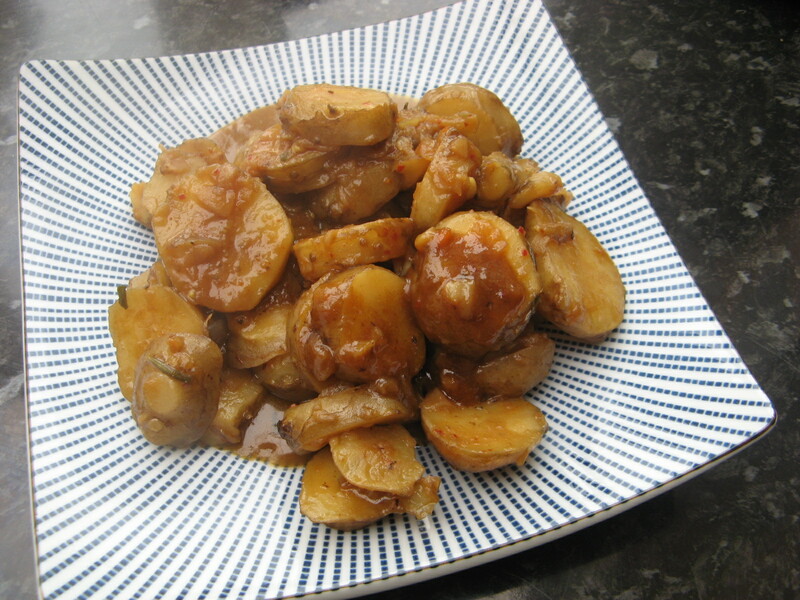 F’artichokes – Or more correctly, stoved Jerusalem artichokes from ‘The Cranks bible’, very delicious! Pistachio gave me this recipe a year or two ago, and I’ve only just got around to re-making it. Here’s the recipe. 3. 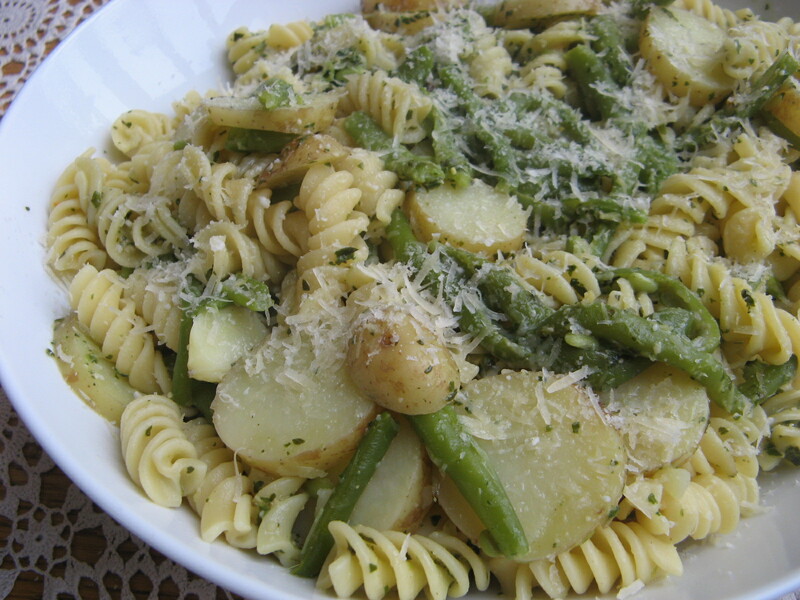 Ligurian pasta with potatoes, pesto and green beans – Again from Delia’s new book. Here’s the recipe.Nothing worse in this recipe than a tub of fresh pesto, which I usually keep in the house anyway. Very good, and quick.